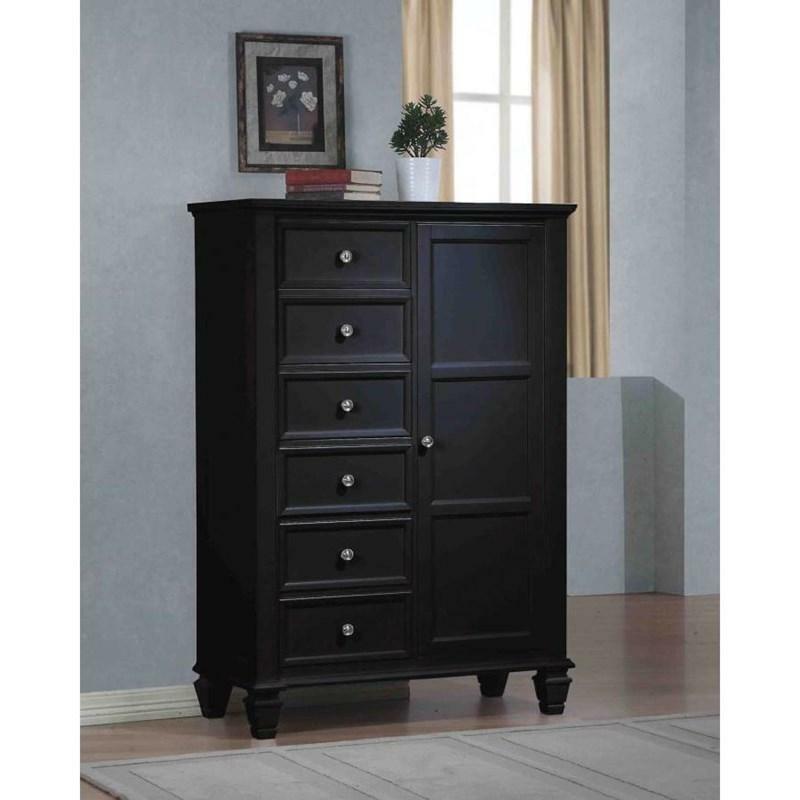 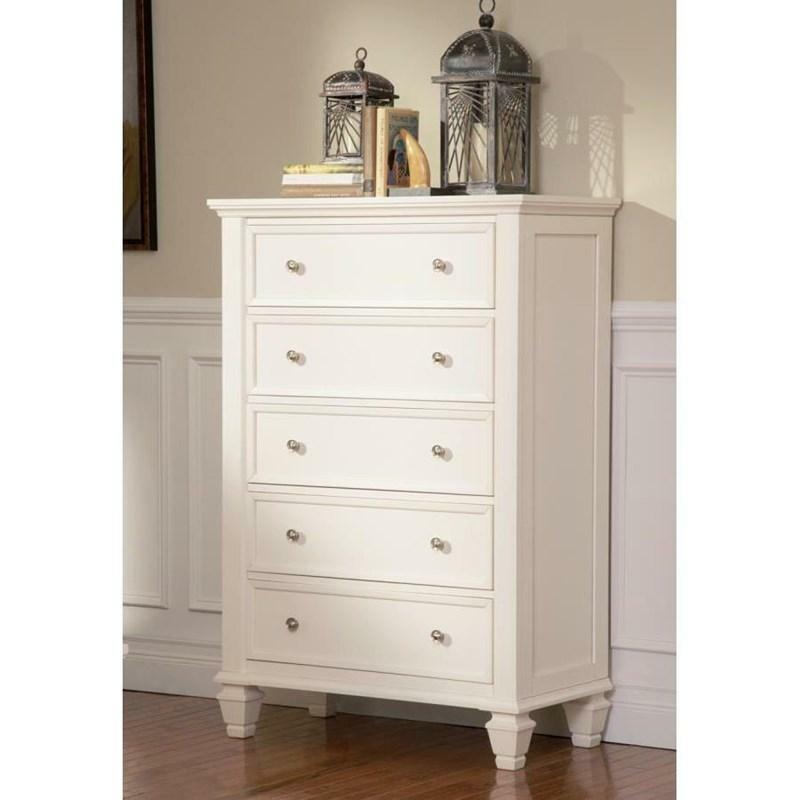 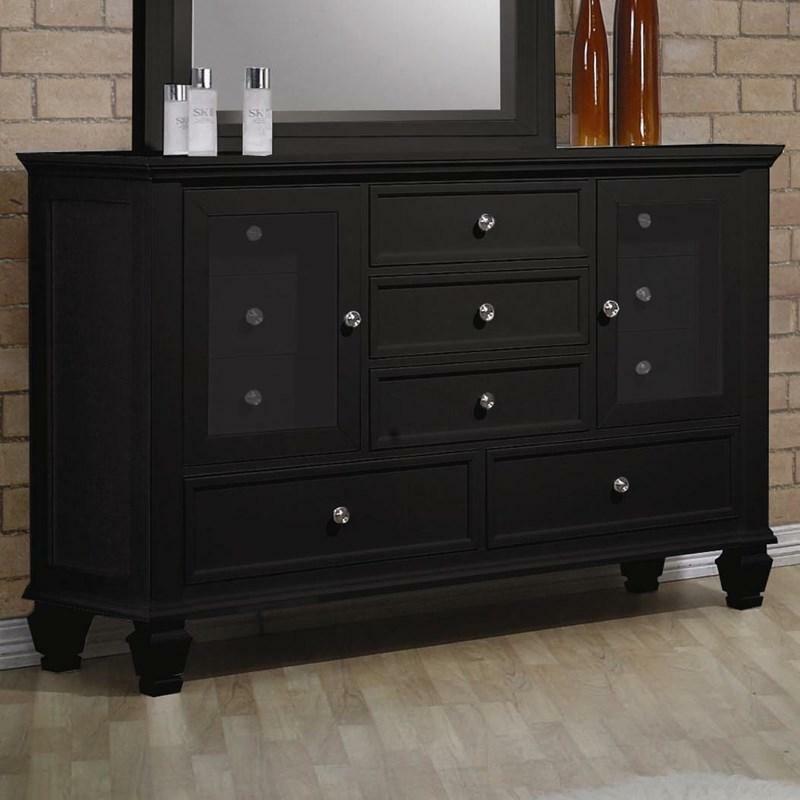 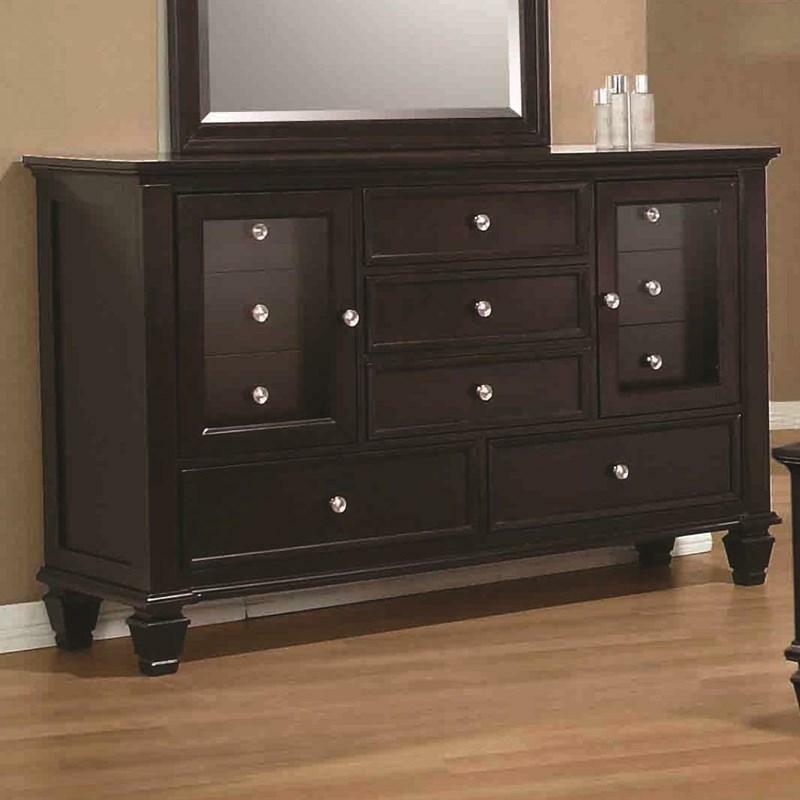 This Sandy Beach Dresser offers a coastal style and comes in a rich black finish. 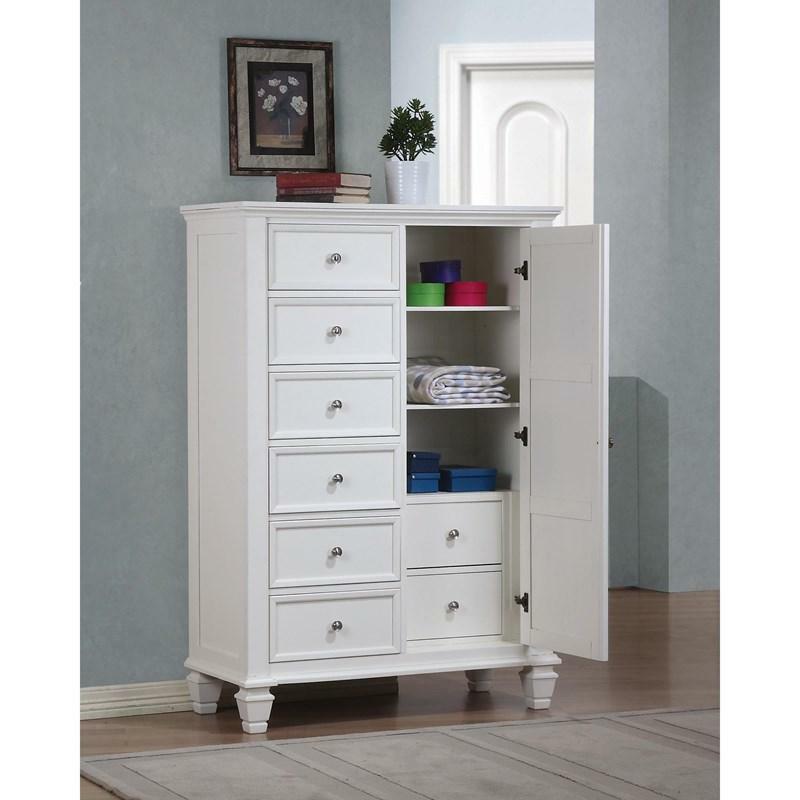 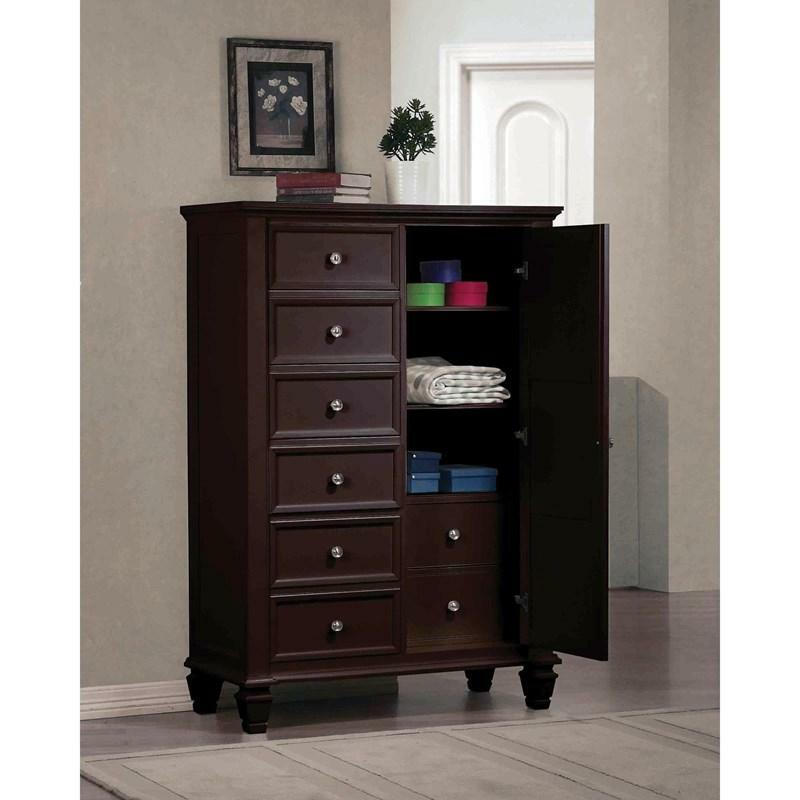 It features eleven storage drawers adorned with brushed nickel finish knob hardware and two glass doors. 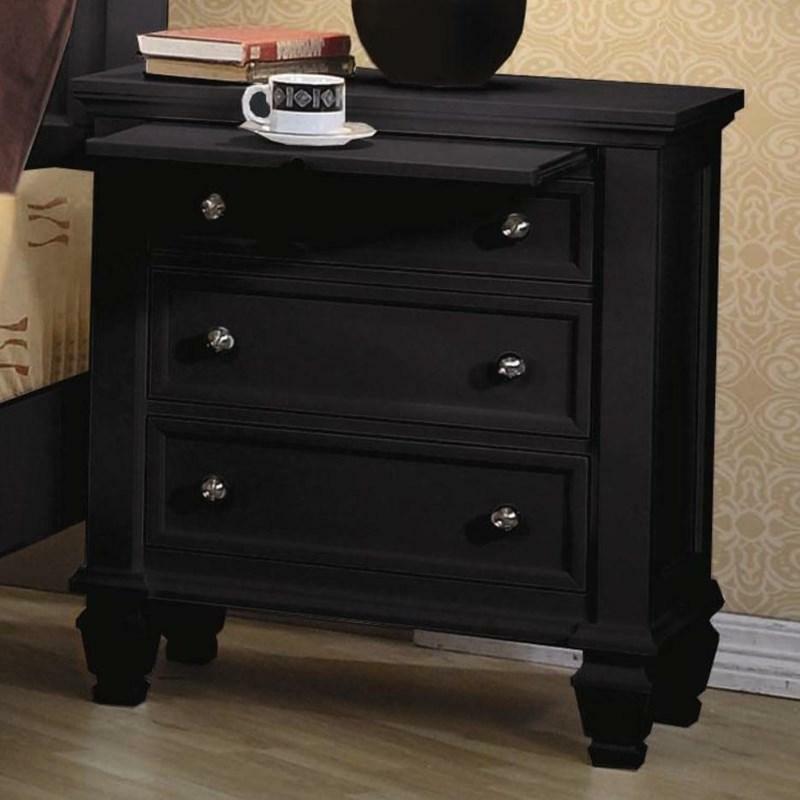 It stands on square tapered feet. 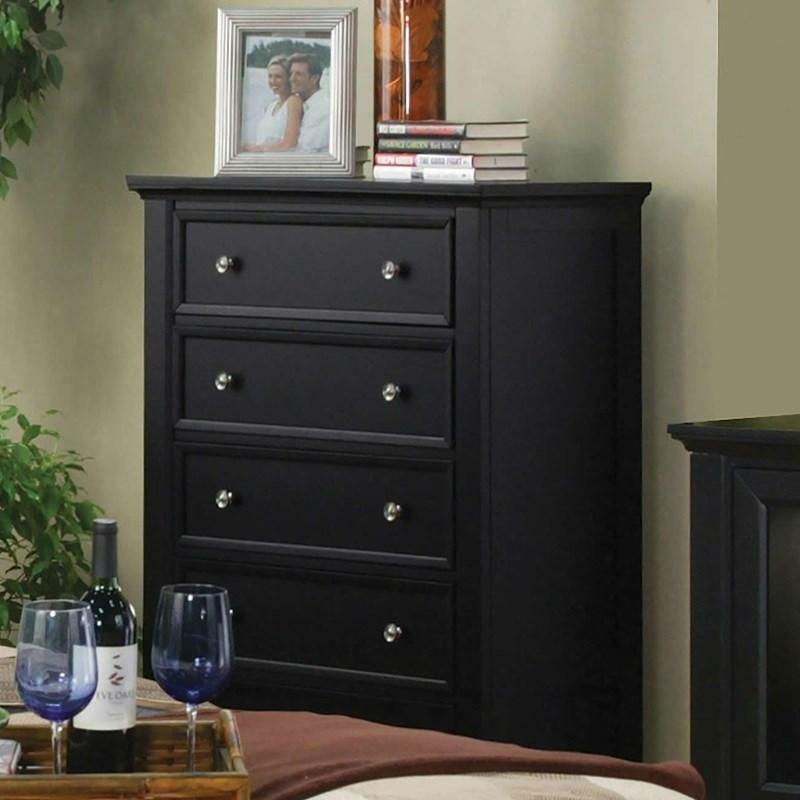 This Sandy Beach Queen Panel Bed by Coaster Furniture features a coastal style and comes in a black finish. 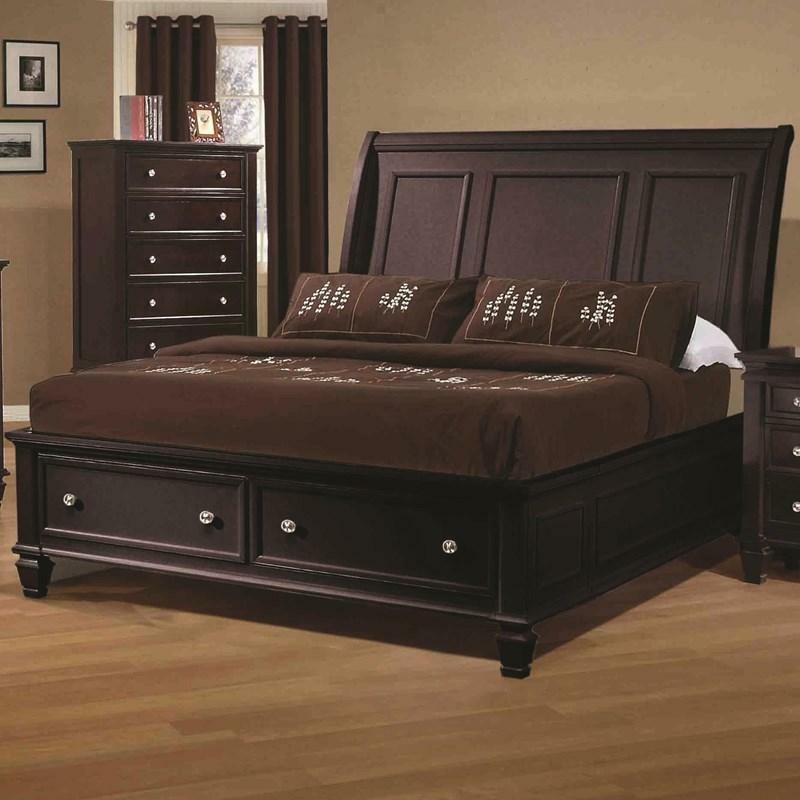 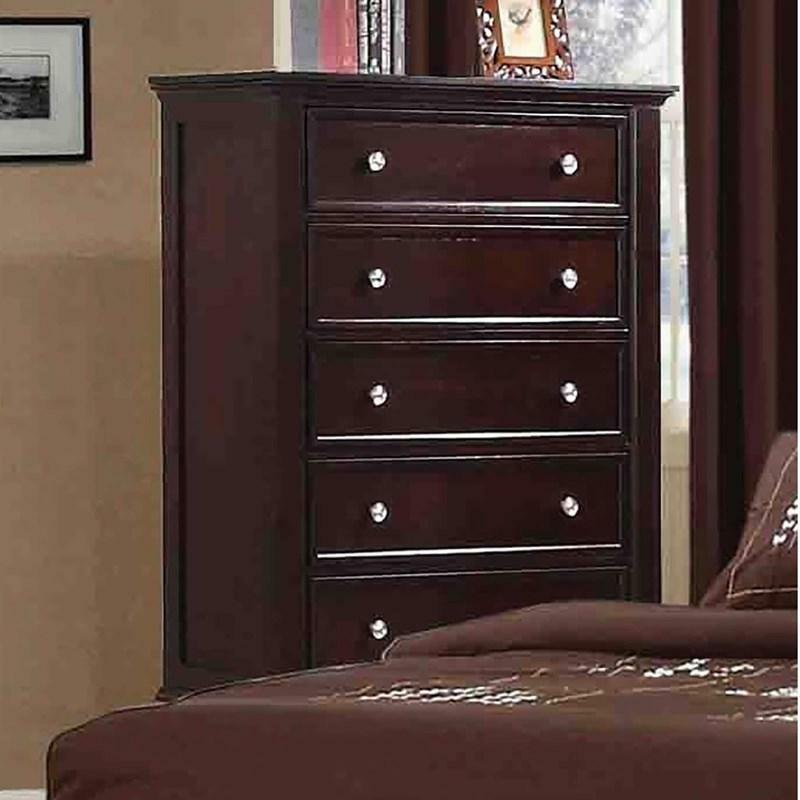 It features a tall paneled headboard, paneled footboard, framed details, and tapered feet.